After the release of "Atem" in 1973, TANGERINE DREAM left the German record label Ohr to sign for Virgin. As Edgar Froese decided to devote his career for his band, he also signed for Virgin and received supplementary financial advances, that allowed TD to develop and buy their cutting edge electronic equipments, especially the Modular Moog synthesizer. Recorded in winter 1973/1974 in Berlin after "Green Desert", the compositions of "Aqua" can be considered as drafts or B-sides of "Phaedra". Froese reworked the tracks and released them under his artist name. Only "NGC 831" features a guest apparition, his colleague Christopher Franke. Although more ambient and experimental than the well-known TD's 1974 opus, the music is more accessible than the band's material during their previous Ohr years, and shows Froese venturing into unknown territories at the time. The four featured tracks are quite heterogeneous and do not totally resemble TANGERINE DREAM. These last points are the main interests of "Aqua", its unique sound and atmosphere. The 17 minutes title track is very ambient and aquatic. It consists mainly in liquid drip sonorities over mysterious and relaxing long synthesizer waves. The water effects were in fact recorded in Froese's own apartment. Although the sounds are a little too present, this suite is quite crystalline and pleasant. The two following tracks use sequencing. "Panorphelia" contrasts with its robotic soundscape. A ramshackle futuristic sequence with changing rhythm, with an intriguing mellotron melody. Avant-garde and enjoyable, this track is however a bit repetitive and does not justify its ten minutes length. "NGC 891" is the best composition of the record (due to the presence of Christopher Franke with his Moog?). More typical of TANGERINE DREAM, hypnotic and pulsing, it may have been a draft for the title track of TD's "Phaedra". Maybe this was also the first sequenced track Christopher Franke recorded in a studio. With its water sound effects, "Upland" has an ambiance similar to the title track, the melody being played this time with an organ. 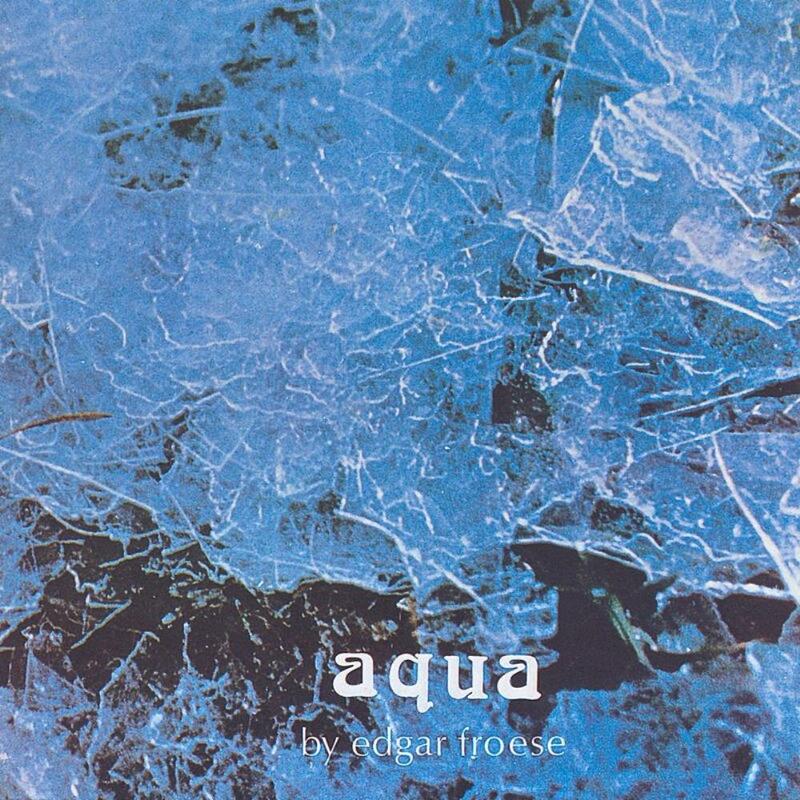 Although "Aqua" is not easily accessible and could have been shortened, this first solo effort by Edgar Froese is quite unique and possesses its own personality. Rather innovative at the time, this mixture of ambient, liquid and cold music differs from what other electronic bands were proposing at the same period, even TD.